Kevin Schrader began working for Pohlig Builders in August of 2003. He joined the Quality Assurance team taking care of custom homeowners’ needs. As the first Athertyn condominiums were completed, in the Spring of 2010, Kevin became the full time Quality Assurance Manager at Athertyn, making sure that the homeowner residences and common areas are in ship-shape order. In his spare time, Kevin enjoys farming with his Granddaughter, vacationing with his family at Cape Hatteras, and boating. In addition, Kevin enjoys cliff diving, bungee jumping and skydiving… in his mind that is! 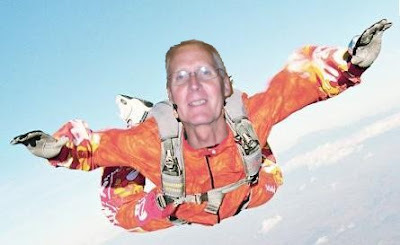 Kevin enjoys cliff diving, bungee jumping and sky diving when he gets the chance… not!